The great majority of parents would like to see their children grow up into a better standard of living. Yet polls suggest that in the United States neither parents nor children are confident that this progress will happen. These polls have been much remarked upon, but little systematic analysis has delved into whether the average child will be better off than the average parent, and why pessimism about such progress has apparently been growing. The relationship between the earnings of adult children and those of their parents at comparable ages depends on many factors unique to any family. The abilities and health of the children relative to those of their parents, the luck of both children and parents in occupation and other choices, the level of parental concern to ensure that their children will become better off, and many other considerations are special to that family. Regardless of individual family idiosyncrasies, there are ways of assessing how well the average person in one generation fares next to an average person in his parents’ generation. 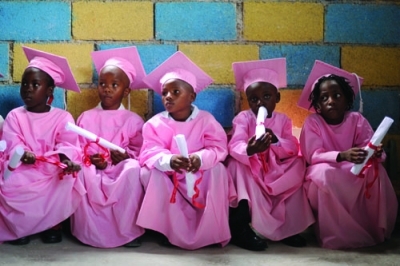 Haitian kindergartners await a graduation ceremony in Port-au-Prince. Better schools, especially for poorer children, are a strong ingredient of economic advancement. The rate of growth in per capita income is by far the most important variable in determining whether children will be better off than their parents. If per capita income is stagnating over time—the lot of the world for almost all of history—the average person in one generation will tend to be about as well off as the average person in his parents’ generation. It would have been atypical to expect during this long period that children would be better off than their parents. 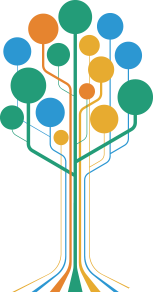 Yet during the past couple of centuries, much of the world has experienced systematic growth in per capita income that has radically changed such expectations. For example, if income per capita were growing at only 1 percent per year, the average individual in the next generation would have about a 30 percent higher income than the average individual in the present generation (I assume that generations differ by about twenty-five years). From about the middle of the nineteenth century to the beginning of the twenty-first century, per capita incomes in the United States grew on average close to 2 percent per year. This implies that over this period of more than 150 years, or about six generations, the average income in one generation would have been about 60 percent higher than the average income in the prior generation. Add in the rapid improvements in health during the twentieth century, including drastic declines in mortality of mothers during childbirth and children during their first three years, and the fact that huge numbers of immigrants to America did vastly better than their parents. No wonder optimism abounded in the United States about how children would fare compared to their parents. Its decline is mainly related to declining expectations about whether the United States will continue to grow at the rates of the past. Faster economic growth in America can compensate for growing government debt, growing inequality, and other factors that create pessimism. Rapidly developing nations show especially dramatic differences between generations. Consider China, for example, with a per capita income that has been growing at around 8 percent per year since about 1980. In such a growth environment, the average income in the next generation would be more than six times as large as in the present generation. No wonder most Chinese families are content with what is happening in their country and with their government’s policies, despite restrictions on freedom of speech. Health and income are not the only determinants of well-being and optimism. Changes over generations in economic inequality also have important effects. Since 1980, inequality has increased considerably in the United States and many other countries, developing as well as developed. When inequality is growing, even if per capita income is stagnant, families at the higher end of the income distribution in their generation will be optimistic about their children’s prospects relative to their own, as long as they expect their children also to be at the higher end of the income distribution in the children’s generation. Conversely, under the same conditions, parents at the lower end of the income distribution will be pessimistic about their children’s opportunities if they expect their children also to be at the lower end of their generation’s income distribution. A third variable is the degree of intergenerational income mobility. That is, the degree to which richer parents are likely to have richer children relative to the income of the children’s generation, and the degree to which poorer parents are likely to have poorer children relative to the children’s generation. When the degree of intergenerational mobility is lower, rich parents will tend to be more optimistic about their children’s prospects, and poorer parents will tend to be more pessimistic. Some evidence suggests that intergenerational mobility in the United States has fallen over time, which would lead to greater pessimism among poorer families about their children’s prospects. Huge numbers of immigrants to America did vastly better than their parents. No wonder optimism abounded. Notwithstanding the growing inequality and falling intergenerational mobility, I believe that fears about economic growth are the main reason for the growing pessimism about the United States’ long-term economic future. It bears repeating that faster economic growth in America can compensate for growing government debt, growing inequality, and other factors that create pessimism about the economic future. Second, it is important to have low marginal tax rates on personal and corporate incomes and on capital gains, to stimulate greater investments and innovations. Third, entitlements need to be brought under control by shifting much more of the cost of medical care to patients through greater out-of-pocket payments, and converting public and other pension systems to defined-contribution systems rather than defined-benefit systems. America has always been optimistic about its future. The decline in such optimism during the past couple of decades is understandable but also reversible. The best way to restore optimism is to promote faster economic growth. This can happen under the right policies, but it will not happen automatically. Even America has no destiny to be optimistic without important redirection of public priorities. Reprinted from the Becker-Posner Blog (www.becker-posner-blog.com). All rights reserved. Available from the Hoover Press is The Essence of Becker, edited by Ramon Febrero and Pedro S. Schwartz. To order, call 800.935.2882 or visit www.hooverpress.org.